The Head of the UGCC, "I have a biometric passport, too. So do not be afraid"
Since introducing for Ukraine visa-free regime with the EU countries in the social networks some "good people" have launched an old "scary story" about biometric passports as the "sign of Satan." 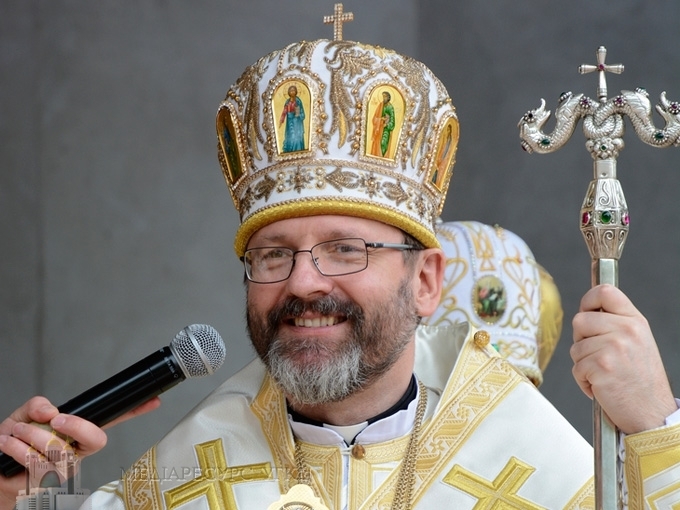 We offer to your attention the comments of His Beatitude Sviatoslav, Father and Head of the UGCC, about the attitude of the Catholic Church to biometric passports. "In the notion of "biometric passport" there is not any religious implication. So don't be afraid!" he said. "This just an attempt to keep Ukrainians in constant fear because someone can open the door for us to Europe, to the free world. I also have a biometric passport of Vatican. So do not be afraid!" noted His Beatitude Sviatoslav.